Having visited Berlin in early December – one week before the arrival of Tristan the T. rex! 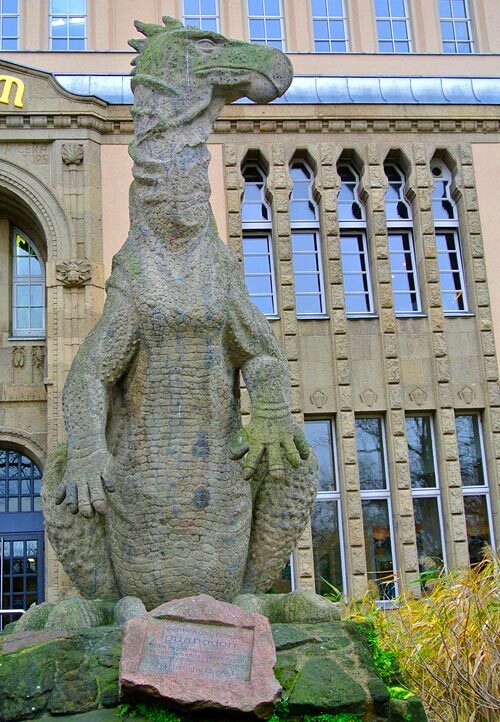 We saw the works of the German artist and sculptor Henrich Harder (1858-1935) whose dragon like sculpture of Iguanodon stands vertical in the garden entrance of the wonderful Berlin Aquarium. His work is based on Belgian material.